How Far is Green Woods Apartment? 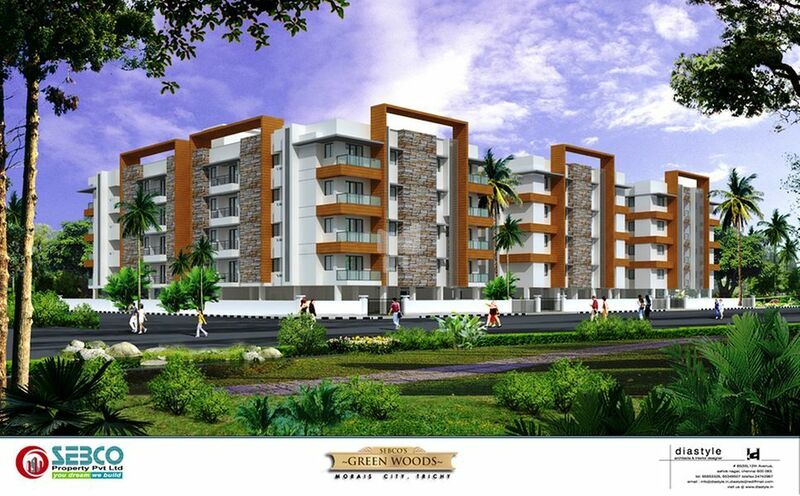 Green Woods Apartment Trichy is a fabulous residential project set aside at Pudukotti in Trichy by Sebco Property Developers. It comprises of 72 flats with an option of 2 BHK (997 sq. ft.-1038 sq. ft.) and 3 BHK (820 sq. ft. - 834 sq. ft.) apartments. The project is located at a distance of 1.6 km from Trichy International Airport, 7 km from Central bus stand & Railway Junction, 7 km from Bharathidasan University, 8 km from Anna University and 5 km from IT Park.